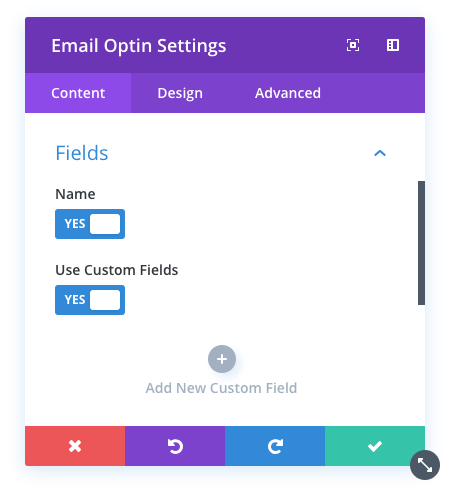 Adding custom fields to the Divi Email Optin module allows you to create custom subscribe forms and collecting additional information from your subscribers. The Divi Email Optin module supports various email providers. Within each email provider, you can create custom data fields that can store different pieces of information about your email subscribers. This data can then be used to segment your email lists or create email autoresponders. By default, all email providers support the following fields: Name & Email. If you want to collect additional information, you will need to configure new custom fields. Each email provider works differently. 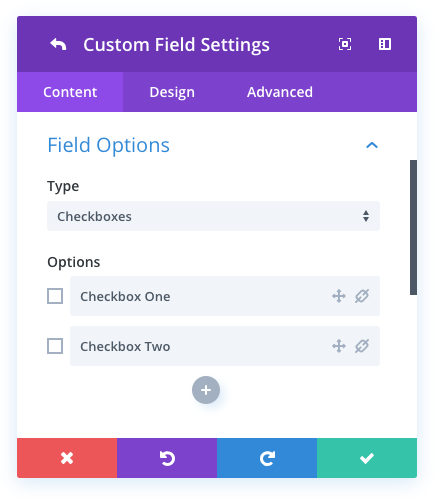 Before you can add custom fields to your module, you will first need to log in to your email provider account and create the custom fields that you would like to use. Please refer to the following directions for your email provider to learn how to create custom fields. After that, continue down the page for more instructions on how to add those fields to your email optin module. ActiveCampaign has a great tutorial about how to add custom fields to your account. You can learn more here. Once you have added custom fields in their system, they will show up automatically in Divi and in Bloom when you add new custom fields. To learn more, continue to step two. Aweber has a great tutorial about how to add custom fields to your account. You can learn more here. Once you have added custom fields in their system, they will show up automatically in Divi and in Bloom when you add new custom fields. To learn more, continue to step two. CampaignMonitor has a great tutorial about how to add custom fields to your account. You can learn more here. 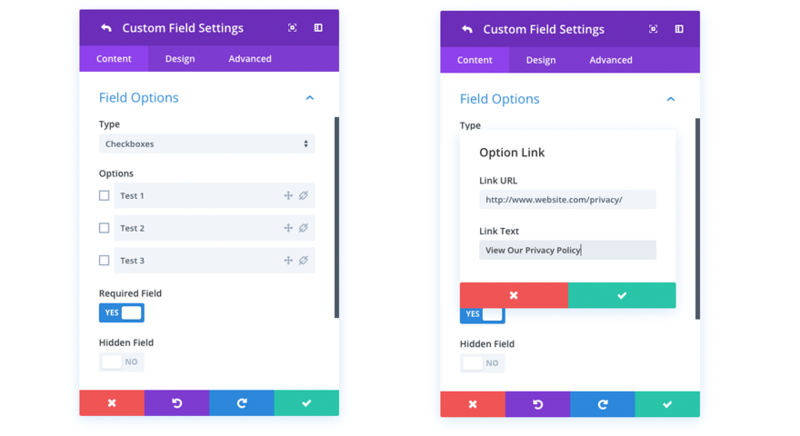 Once you have added custom fields in their system, they will show up automatically in Divi and in Bloom when you add new custom fields. To learn more, continue to step two. Convertkit has a great tutorial about how to add custom fields to your account. You can learn more here. Once you have added custom fields in their system, they will show up automatically in Divi and in Bloom when you add new custom fields. To learn more, continue to step two. Emma has a great tutorial about how to add custom fields to your account. You can learn more here. Once you have added custom fields in their system, they will show up automatically in Divi and in Bloom when you add new custom fields. To learn more, continue to step two. GetResponse has a great tutorial about how to add custom fields to your account. You can learn more here. Once you have added custom fields in their system, they will show up automatically in Divi and in Bloom when you add new custom fields. To learn more, continue to step two. HubSpot has a great tutorial about how to add custom fields to your account. You can learn more here. Once you have added custom fields in their system, they will show up automatically in Divi and in Bloom when you add new custom fields. To learn more, continue to step two. iContact has a great tutorial about how to add custom fields to your account. You can learn more here. Once you have added custom fields in their system, they will show up automatically in Divi and in Bloom when you add new custom fields. To learn more, continue to step two. Infusionsoft has a great tutorial about how to add custom fields to your account. You can learn more here. Once you have added custom fields in their system, they will show up automatically in Divi and in Bloom when you add new custom fields. To learn more, continue to step two. MailChimp has a great tutorial about how to add custom fields to your account. You can learn more here. Once you have added custom fields in their system, they will show up automatically in Divi and in Bloom when you add new custom fields. To learn more, continue to step two. MailerLite has a great tutorial about how to add custom fields to your account. You can learn more here. Once you have added custom fields in their system, they will show up automatically in Divi and in Bloom when you add new custom fields. To learn more, continue to step two. MailPoet has a great tutorial about how to add custom fields to your account. You can learn more here. Once you have added custom fields in their system, they will show up automatically in Divi and in Bloom when you add new custom fields. To learn more, continue to step two. Ontraport has a great tutorial about how to add custom fields to your account. You can learn more here. Once you have added custom fields in their system, they will show up automatically in Divi and in Bloom when you add new custom fields. To learn more, continue to step two. has a great tutorial about how to add custom fields to your account. You can learn more here. Once you have added custom fields in their system, they will show up automatically in Divi and in Bloom when you add new custom fields. To learn more, continue to step two. SendinBlue has a great tutorial about how to add custom fields to your account. You can learn more here. Once you have added custom fields in their system, they will show up automatically in Divi and in Bloom when you add new custom fields. To learn more, continue to step two. 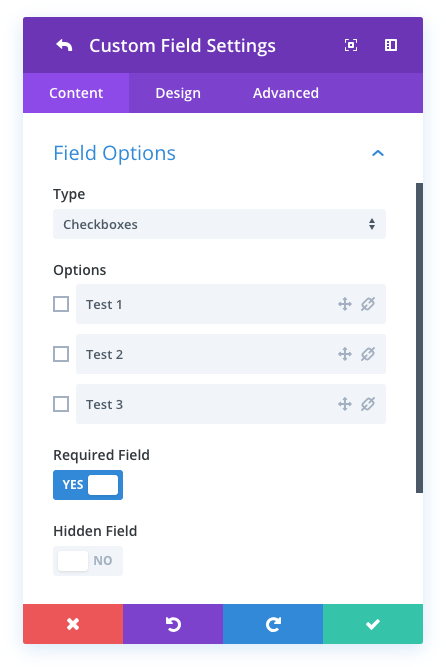 Most email providers will send Divi all of your custom field data, and the email optin module will be populated with a list of your available custom fields. 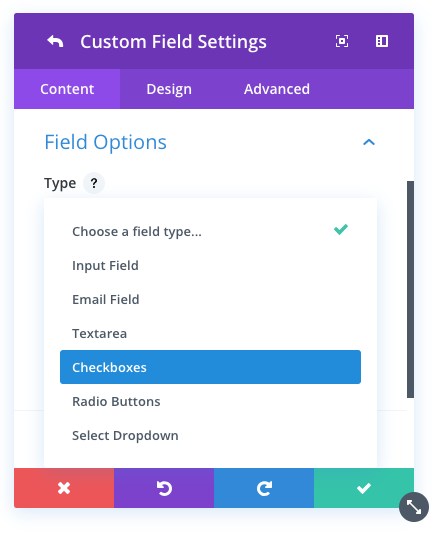 Once you have added custom fields as described above, they will become available via the Content > Fields > Use Custom Fields option. Some email providers do not send Divi your custom field data. For these providers, you must configure your fields manually. These providers include: Aweber, Mailster, SendinBlue and MadMimi. 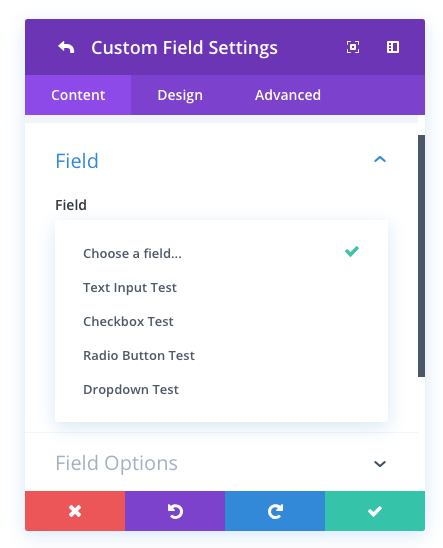 If you are using one of these providers, you will be able to manually select your field type and create your field items after selecting your custom field.